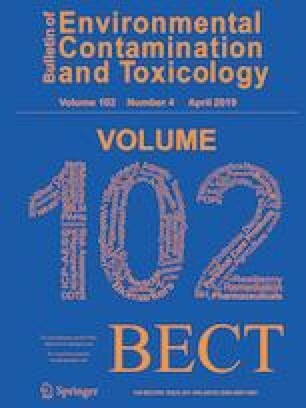 The aim of this study was to assess – for the first time – the occurrence and distribution of microplastics (MPs) in the gastrointestinal tracts (GITs) of a marine commercial fish species (Micropogonias furnieri) from the Bahía Blanca Estuary (BBE) in Argentina, and to evaluate fish potential associated stress. In order to do this, juveniles were sampled using artisanal fishing arts at two sampling locations. Basic measurements of individual fish were taken (total length, total weight, weight of the liver) and GITs were subsequently removed, digested with 30% H2O2 for 5 days at 60°C, filtered on Whatman paper and then dried. Samples were observed with a stereomicroscope, and it was demonstrated that 100% of the individuals contained microplastic particles in their GITs. In total, 241 microplastic particles were removed from the GITs of all fish. They were categorized as fibers (60.8%), pellets (28.9%), fragments (8.6%) and laminas (1.4%), and they ranged in size from 0.98 to > 5 mm. The average number of particles per fish was higher than that reported in previous global marine studies. Moreover, a positive correlation between the number of MPs per fish and hepatosomatic index was found, suggesting a probable stress in their health condition. These findings provide the first and southernmost evidence of microplastic contamination in biota from the Argentinean sea, which is found in the South Atlantic sea. The authors are grateful to Enio Redondo and Beto Conte for their fishing skills in the field. This study was approved and financed by PICT 2015-0709, National Agency for the Promotion of the Science and Technology, PGI 24/ZQ12 (National South University) to Dr. Andrés H. Arias and PICT 2016-0540 granted to Ana C. Ronda, PhD.